In France, as in other European countries, the dairy sector needs to constantly improve its productivity and competitiveness. It is currently going through a major restructuring. In order to reduce costs, the latest tanker trucks – such as those built by Maisonneuve – can hold up to 29,500 litres. 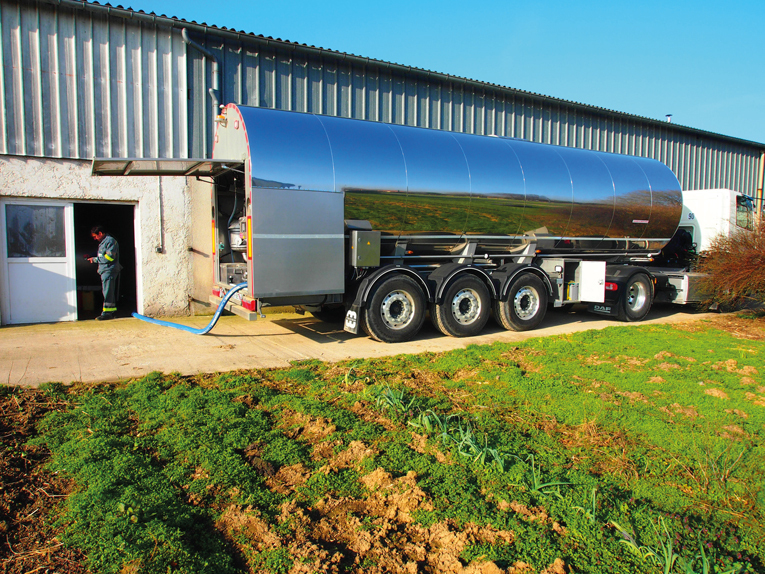 The trucks collect milk from various farms and deliver it on the same day. Originally they were equipped with a hydraulic pumping system, which was usually driven by the vehicle’s engine. To optimise milk collection, Maisonneuve changed the pumping system to make it battery-driven, which means it can now be operated with the engine off. Electric pumping has many benefits over hydraulics. The new system reduces energy consumption and maintenance costs and operates with less noise and gas emissions, while ensuring the same or better performance and quality standards as hydraulics. The first tests for a new pumping system were carried out in 2012 with lead batteries. The batteries had to be replaced every six months due to intensive use and the high number of charge/discharge cycles, however. To date, more than 150 vehicles have been equipped with this Mastervolt-based electrical pumping system, which Maisonneuve uses not only for the collection of milk but also for the distribution of other products such as concrete admixtures, AdBlue fuel additives and molasses. Electric motor of the 24 V pump = 200 A. Measuring devices for the volume of milk transferred, sample collection, preheating = 5 A. Life cycle and intensive cycling up to 1000 cycles/year. This sturdy and highly efficient Mastervolt battery was chosen because it provides at least 2000 cycles at 80 % discharge depth and is a perfect solution for its role. 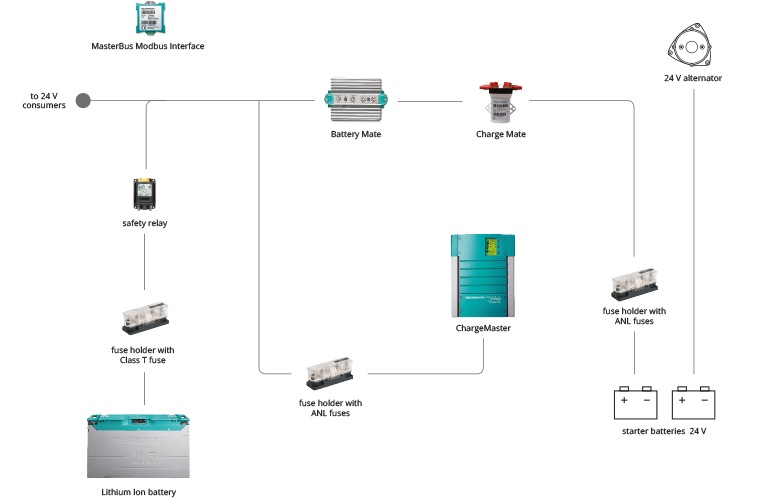 Thanks to its very stable voltage, the power for the pump is consistent, allowing the performance to be improved by 10 %. In addition, the weight savings compared to lead batteries have allowed the payload of the tank to be increased, while the integrated electronic management (Battery Management System) ensures perfect operation safety. 2 x ANL fuses + fuse holder.